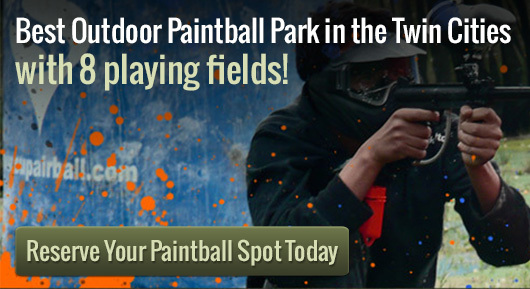 Paintball in Minnesota is a great choice if you are looking to have an exception time out with friends. Paintball is fun for everyone involved and is going to allow you to take your weekly aggressions in one activity. At Action Packed Paintball Games, the professionals on hand are going to set you up with the perfect paintball experience, so no matter the time of the year or where you are coming from, Action Packed Paintball in Minnesota is going to be exciting for everyone. For starters, even if you have never played paintball before, you are going to find it is incredibly fun. Buying all of the equipment can be expensive, especially if you haven’t done it before, but all of the necessary gear and equipment is ready and waiting for you at Action Packed Paintball Games. Plus, we have compressed air fills and CO2 tanks, just to make sure you are always locked and loaded. While Action Packed Paintball Games does provide services for walk-on play, you can also come up with a group when you make a reservation. At Action Packed Paintball Games, you can bring in a small group or schedule a larger group of up to 150 players. No matter how large or small you want your paintball battles, you are going to find everything is available for you at our facility, which gives you the most paintball scenario options around. We are capable of running private games 7 days a week, dawn until dusk. Please call us at 952-492-6776 if you have any questions or if you would like to reserve a time. Please call ahead in advance as reservations are required.